Kristin and Garrett are our past clients. 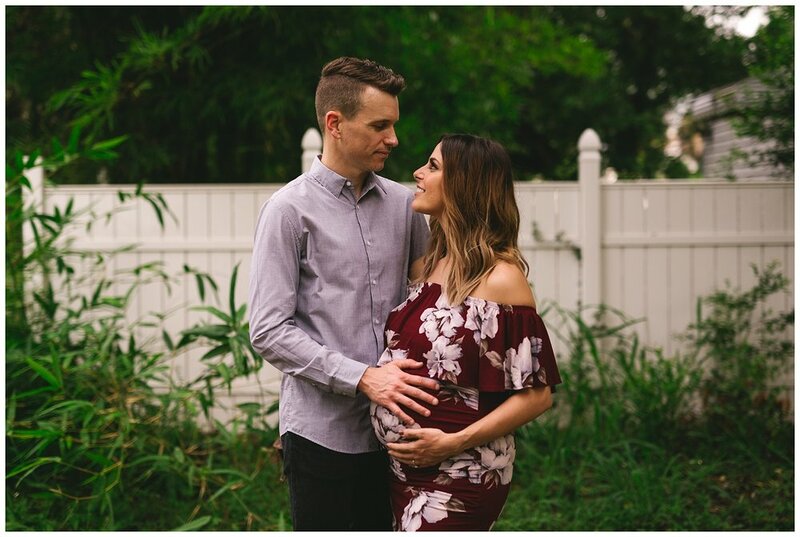 We’ve had the pleasure of shooting their engagement, wedding, and now maternity photos! We live for experiences like this when we get to watch a family blossom right before our eyes. From an outsider’s perspective, I am able to really see how much they’ve transformed in a few short years and try to replicate that beautiful transformation for them through photography. They are expecting their first child, a girl, in September. Her name is Mia Elizabeth. 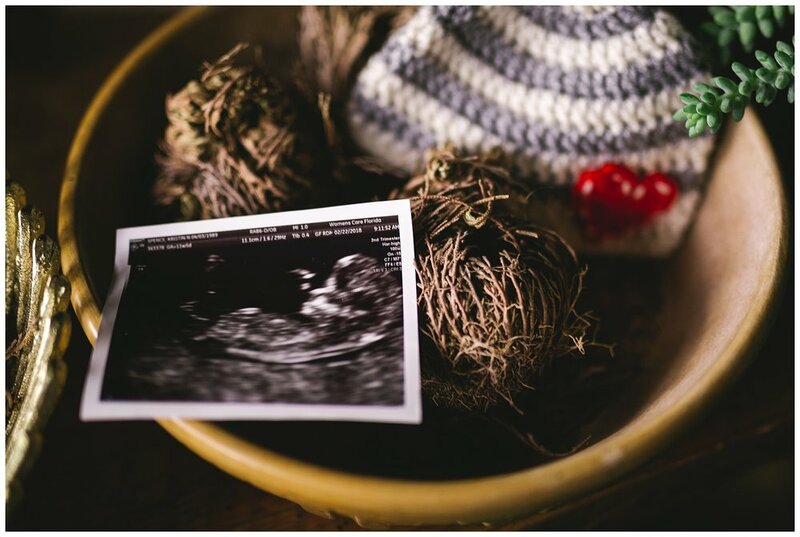 We choose to shoot at Fancy Free Nursey in Tampa, Florida because it is the perfect spot, rain or shine. Although I’ve been there many times, I never get tired of walking around the nursery. Bright, new foliage springs up around every corner. Even the indoor shop is too cute, so we started off there for a few vintage-looking shots. When we walked back out, we spotted a funky wall mural with bright tangerine and poppy colors, which looked great with Kristin’s dress. This shoot had lots of diverse colors and textures. 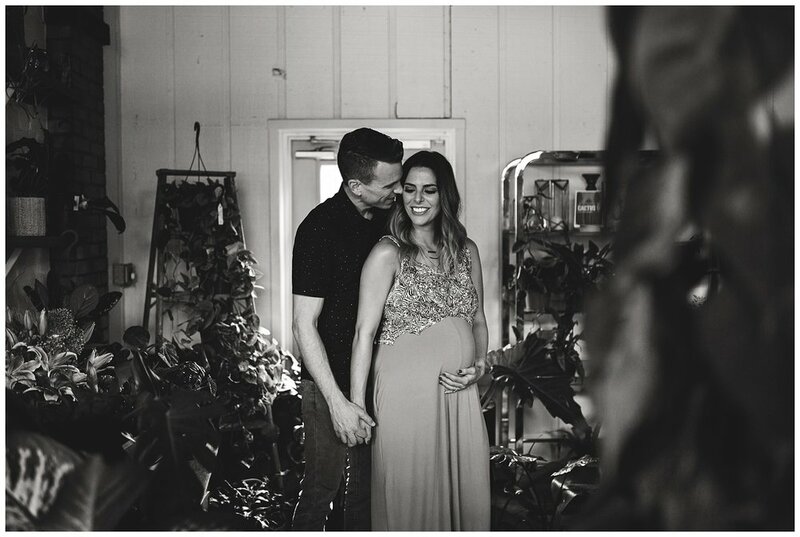 While Kristin and Garrett took a bit of time out for each other and explored the nursery, I clicked away catching some sweet moments underneath the pergola, through the tall cacti plants, and on a bench surrounded by greenery. I loved the heirloom baby shoes that they brought along to symbolize the legacy that will continue with sweet Mia Elizabeth when she arrives. She will be the beginning of a new generation in this family! At the end, we used some fun pink smoke bombs and celebrated baby girl with lots of pink. I had so much fun catching up with these two again. I cannot wait to meet their baby girl when she gets here, and I’m looking forward to seeing how their story continues to unfold!